Model nou de sac umplut cu puf premium 80/20 class I, ideal pentru 3 anotimpuri (primavara/vara/toamna), comfortabil, moale si placut pentru piele (skin-friendly) , din materiale certificate Bluesign®, din eco-gama GREEN SHAPE. Constructia tip mumie pentru un management optim al caldurii interioare. Dimensiuni de impachetare reduse: min 18x15cm, max 30x15cm. Prevazut cu buzunar interior si sac de compresie. Ideal pentru trekking. Import Germania. 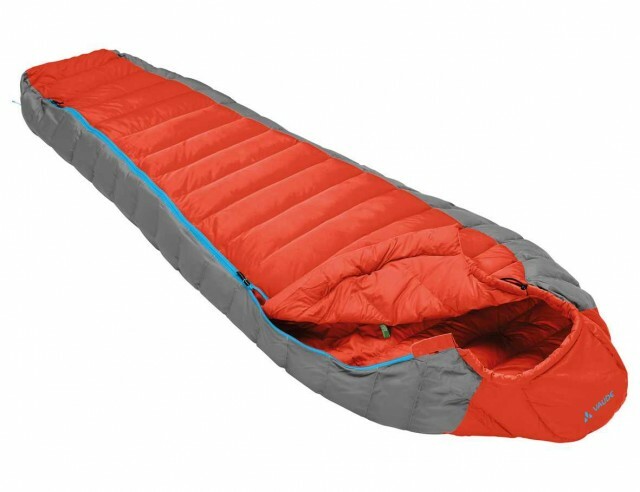 Fall asleep in a warm bed of feathers: cozy, warm 3-season sleeping bag with a premium lightweight 80/20 quality down fill. The mummy cut helps keep your body heat where you need it, a long zip extends down to the foot section, the material is wonderfully soft yet durable and easy-care, and the whole package is ecologically manufactured in accordance with the stringent bluesign® standard. The Cheyenne 350 is ideal for all light trekking and cabin tours. Material: Main fabric: 100% Polyester; 50D 300T Ripstop; Lining: 100% Polyester; 50D 300T; Filling: 80% duck down class I, 20% duck feather class I; 550 cuin. Contains non-textile parts of animal origin. High quality and long-lasting grey duck down with 650+ cu.in. fill power based on the European DIN EN 12130 norm. VAUDE only uses the highest quality down fill. The down used in our sleeping bags is European down originating from Poland. The ratio of down to feathers is the percentual amount of each used to create the necessary loft for effective thermal insulation.The quality of down is expressed in the fill power in cubic inches per ounce (cu.in. ), measured in accordance with the European DIN EN 12130 norm. The higher the ﬁll power, the better the down will insulate.VAUDE makes a clear commitment: down is only harvested from slaughtered birds, which have not been plucked live or bred for the supposed culinary speciality, foie gras. 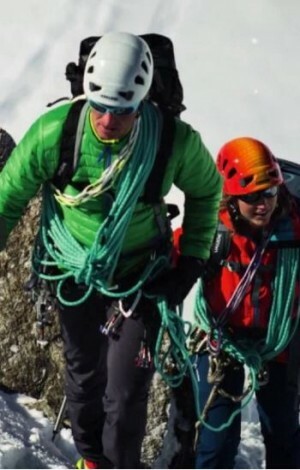 All VAUDE down suppliers confirm their adherence to these conditions. With the Responsible Down Standard (RDS) , VAUDE ensures that the down or feathers used in our products come exclusively from geese, ducks or other waterbirds that have been treated in accordance with animal-welfare standards. Practices such as live plucking and foie gras production are expressly excluded.RDS is a certification from the independent Textile Exchange organisation that allows us the seamless tracing of down and feathers along the entire supply chain.